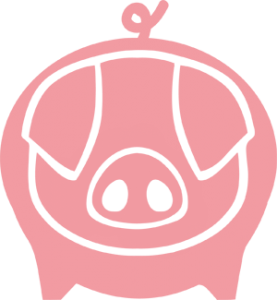 1· What is a ‘pig factory’? 2· What is a ‘high welfare’ farm? 3· Why do pig factories exist? 4· I thought that the UK had high minimum animal welfare standards. Is this not the case? 5· Are minimum welfare standards the same for all countries? 6· If your aim is to shut down big pig factories, won’t that put UK pig farmers out of business? 7· Why does high welfare meat cost me more? 8· What if I cannot afford to buy high welfare meat? 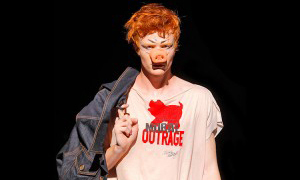 9· What are the impacts of pig factories on the environment? 10· What are the impacts of pig factories on our health? 11· What are the minimum animal welfare standards in pig factories? 12· But aren’t pig factories the only method of producing enough food for the future? 13· Where can I buy high welfare pork? Where is the best place to buy high welfare pork? 14· What’s the best high welfare pork? Does it have to be Organic? 15· How can I be sure that the meat I am buying does not come from a pig factory? 16· Wouldn’t it be better solution to not to eat meat at all? 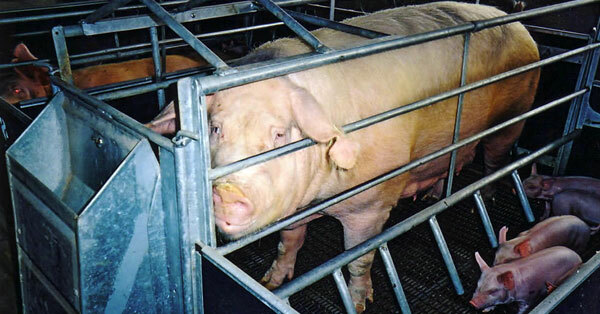 17· What’s the difference between caged pigs, sow stalls, gestation crates & farrowing crates? 18· How did you work out the number of pigs freed from animal factories by people pledging to only buy high welfare? 19· Are you asking the Government to do anything to improve animal welfare standards in this country? 20· Are you doing anything to improve labelling? 21· Why are animal factories legal? 22· Are subsidies helping UK pig factories? 23· What do you think about slaughter procedures? 24· How can I support your work? The aim of pig factories is to produce as much meat at the lowest possible cost possible to meet the rising global demand for cheap protein while making the largest profit. Livestock production has grown increasingly more industrialised compromising not only animal welfare but also our health, local economies and the environment. 5· Are high welfare standards the same for all countries? UK not allowed allowed for 5 weeks in each pregnancy, equivalent to 2.5 months a year pigs must have access to straw or similar manipulable material. Widely ignored not allowed to be given as growth promoter, 50% antibiotics used for animals mostly in intensive indoor systems the law says that tails must not be docked routinely, the cause must be addressed first. high use of antibiotics except Denmark and Sweden the law says that tails must not be docked routinely, the cause must be addressed first. USA permanent confinement in sow stalls permitted no restriction no legal requirement can be used constantly in feed as growth promoter. Shutting down pig factories would benefit high welfare UK farmers. Animal factories abuse animals in inhumane conditions and externalise costs onto the broader community (by antibiotic overuse, pollution and toxic stench), thereby unfairly outcompeting smaller, high welfare farmers and destroying local communities. In addition, indoor spaces, presently used as animal factories, can easily be converted to ethical methods of production by providing more space, ample bedding and ideally access to the outdoors. These costs never appear in grocery or restaurant bills, but they result in incalculable costs for the environment, local communities and future generations. You can reduce your intake of pork, bacon, ham and sausages to cover the extra cost of buying high welfare. For example, six sausages from an animal factory cost the same as five from a high welfare farm. And three rashers of bacon from an animal factory cost the same as two from a real farm. Eating less, but better, meat is good for your health, and the impacts of over-consumption are well documented1. Eating less meat and cooking with cheaper cuts can save money on shopping bills, which makes it possible to buy high welfare without necessarily spending more. Here you can find some ideas on how to prepare and cook vegetarian meals and meals with cheaper cuts2. In animal factories, pigs suffer from confinement, isolation or overcrowding and the frustration of their natural behaviour. Minimum EU welfare standards require that pigs have access to adequate bedding and that their tails are not routinely docked. However these regulations are routinely ignored in pig factories. This is why it is so important to buy pork produced to the standards of a recognised assurance scheme. See here the different assurance standards in the UK and what they mean for animal welfare. The industrialisation of pork production in animal factories was ‘invented’ in the 1960s with the aim of using economies of scale to increase profit margins. However, this type of production is inefficient because of its high capital costs, and because it needs high input volumes of water, energy and imported feed. The system is also unsustainable and unethical because it relies on antibiotics to compensate for the barren, overcrowded and unhealthy conditions in which the pigs spend their lives. You can buy pork with high animal welfare labels in the supermarket, so look for RSPCA Assured, Outdoor Bred, Free Range or best of all Organic. You can ask for high welfare meat at your local butcher or better still shop at your local farmers’ market, find high welfare online, or join a box scheme. 14· What’s the best form of ‘high welfare’ pork? Does it have to be classed as Organic? We recognise different categories for high welfare pork (see our labelling system). Organic is the only standard which offers not only higher animal welfare standards, but also environmental benefits in terms of waste management, residue, pesticides and fertilisers. The Organic standard also guarantees that no GMOs have been used in the feed. To avoid products that are falsely marketed as ‘high welfare’, it is best to look for meat that carries the official high welfare labels. Pork with these labels has been raised on high welfare farms, almost certainly in the UK, and farmers are inspected regularly to ensure they are complying with the standards fully. Alternatively, check out our ‘questions to ask retailers’ when you can’t see a label on meat in your local butchers or farmers’ market. Farms Not Factories’ vision is a world without animal factories. We want to raise awareness about the true costs of cheap meat, but we recognise that for many people, going vegetarian or vegan is not an option. That’s why we are working to make it easier for the public to choose ethically produced pork through our supermarket labelling guide and High Welfare Pork Directory. Livestock farming is not simply a means of production; like all food production it has a rich cultural and socio-economic history. It has shaped the British countryside and its rural communities. To lose traditional, small-scale livestock farms would be to lose a wealth of tradition, knowledge and practice. It is important to remember that animals are not the only casualties of a globalised and industrial meat industry. Choosing to buy pork from sustainable and local farms is a vote for a world free from the social, environmental and health impacts of the industry on communities around the world. And in a world where food security and sovereignty are increasingly important, we can – if we do choose to eat meat – support local farmers by buying from farmers’ markets and local butchers. When talking about pigs in cages, we mean the use of sow stalls (also called gestation crates) and farrowing crates. Sow stalls are narrow, steel cages that prevent the sow from turning around during pregnancy. They are illegal in the UK. There has been a partial ban in the EU since January 2013, which allows sow stalls to be used for up to 4 weeks in each pregnancy. However, a number of countries continue to be non-compliant on this ban. Farrowing crates are also narrow, steel cages that prevent the sow from turning around during pregnancy. They are not illegal in the UK. Sows can be kept in farrowing crates just before they give birth, and remain there for up to 5 weeks. See our labelling guide to find out which UK labels use farrowing crates. Our focus is on educating the public about the true costs of meat from pig factories, and inspiring consumers to only buy pork with high animal welfare labels. We can vote for real farming over factory farming every time we buy a pork product. However, we are working closely with Compassion in World Farming to improve animal welfare standards on a government level. 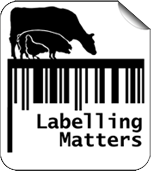 We support a joint initiative called Labelling Matters, an alliance including Compassion in World Farming, World Animal Protection, the Soil Association, the RSPCA and Eurogroup for Animals. Together, we are calling for honest labelling of the method by which meat has been produced, including meat produced in animal factories, so that consumers can make informed choices. A lot of pig factories operate illegally by disregarding regulations stipulating minimum space requirements, provision of manipulable material to root and investigate, and that pigs must not be routinely tail docked7. Proper enforcement of existing legislation and a ban on the routine overuse of antibiotics would diminish the profitability of factory pig farming and allow high welfare pig farms a larger share of the market. Before reforms to the CAP in 2013, pig producers were not entitled to subsidies. Now, pig producers – whether farms or factories – are entitled to subsidies based on the amount of land they have in production (if they own the land themselves). Of course, intensive farms can be squashed on to small bits of land, so these subsidies don’t necessarily help pig factories. However, intensive farms receive indirect subsidies through externalising both social and environmental costs. It’s difficult to say what impact the CAP reforms have had on pork production, since they are being introduced slowly. Subsidies under the Common Agricultural Policy (CAP) are based on the amount of land that is in production; so large landowners receive more from the CAP than Europe’s small farms. About 80% of CAP subsidies go to about a quarter of EU farmers – those with the largest holdings. Farmers who do not own the land do not receive subsidies. Mandatory CCTV in all slaughterhouses. Improve transport conditions for livestock. Clear labelling of slaughter method on meat products. 18· How can I support your work? There are a lot of simple things you can do to support our work, from inspiring your family and friends to take action against animal factories. Follow us and help promote our campaigns through Facebook and Twitter. 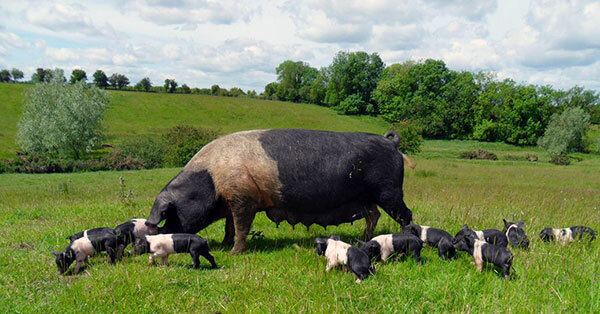 Find or add more high welfare pork suppliers to our High Welfare Pork Directory. You can also help by making a donation.